THERE is more than a hint of Neil McGee about Kieran Gillespie so it was no surprise to those who know him that the youngster was undaunted when handed the Donegal number three shirt on Saturday night. 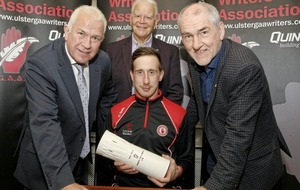 Into the white hot cauldron of Ulster went Gillespie for his Championship bow. It was Donegal’s first time without McGee for a Championship game in 11 years, the Gaoth Dobhair rock having played each one of Donegal’s previous 51 SFC games. 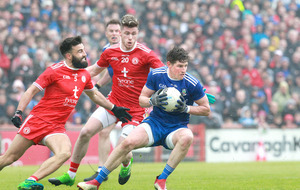 Gillespie took it all in his stride, though, and it was perhaps a case of being too relaxed when it came to that moment early in the second half when he found himself eyeballing Monaghan goalkeeper Rory Beggan. The headlines flashed, but Gillespie was denied a debut goal by Beggan. Overall, it was a satisfying first outing for the Dundalk IT student. 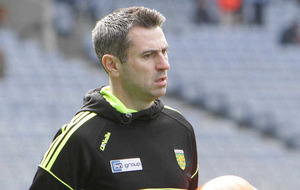 “I thought Kieran Gillespie was top-class,” said Donegal manager Rory Gallagher. 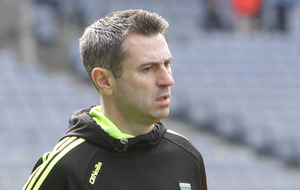 Gillespie started the Division One game against Dublin in Croke Park and started the semi-final, also against Dublin at Croke Park, but his game time had been limited in his first spring as a Donegal senior footballer. 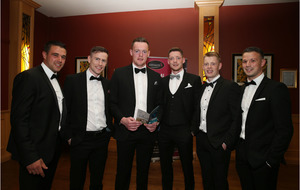 “I expected him to be in earlier this year,” said his Gaoth Dobhair team-mate and former Donegal player Kevin Cassidy. “He’s a serious talent. Naturally he’d be a centre-back in my book, but he can play anywhere. “Since he was in with us as a minor, he’s always had something different. Lads like that come and go, but Kieran will be around for a long time. “He’s so grounded. 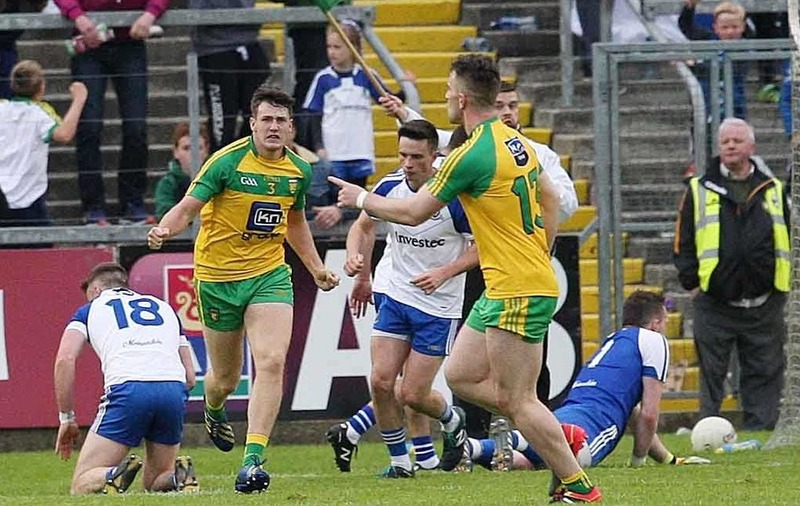 To make a debut against Monaghan in an Ulster semi-final after everything that’s been between Donegal and Monaghan this last couple of years could have buckled a lot of players. It was Declan Bonner who first deployed the young Gillespie as a full-back. Bonner had Gillespie in his U16 and U17 squads as a midfielder, but he didn’t make the grade in the Buncrana Cup or Jim McGuigan Cup outings. At the outset of 2014, Bonner was having trouble on the edge of his square and had a brainwave. “I went to Kieran and I told him, I promised him I’d give him three or four games at full-back to see how he’d go,” he said. Gillespie went in at number three for an Ulster Minor League game against Fermanagh in Convoy. By the third Sunday of that September, he was manning the house for the All-Ireland MFC final against Kerry. “Kieran was a big strong lad, very raw,” said Bonner. “I had very few options that year in the minors. He wasn’t making it at midfield and I felt he had all the attributes of a good full-back so I gave it a go. “He was a natural. It worked straight away. He has good hands to go with the pace and the power. Gillespie and McGee (pictured) are moulded from the same, tough Gaoth Dobhair granite. Their stories of progression are similar. Back in 2002, McGee turned up for a trial with the Donegal minors having played at midfield until that point. Paddy Hegarty, the then Donegal minor manager, was short on numbers and plonked McGee to full-back. The rest is history. The sight of Gillespie carrying the ball with determination deep into Monaghan territory in Kingspan Breffni Park was McGee-esque. “That game will really stand to him,” Cassidy said. “He’s got a lot of football in him and I’d like to see him played out the field, like he was there on Saturday.